One worker said his wages were stolen. Another said she was forced to work without overtime pay. A third worker described her struggles to provide for a family of six children -- on $8.75 an hour after years of experience in the food industry. The three are current and former employees of CKE Restaurants, the fast-food company run by secretary of labor nominee Andrew Puzder that is known for its Carl's Jr. and Hardee's chains. They spoke for nearly two hours Tuesday about poor working conditions before a panel convened in Washington by Democratic senators Elizabeth Warren and Patty Murray. "People like Puzder don't see how regular Americans are living day by day," said Lupe Guzman, a 47-year-old mother of six who works a graveyard shift at a Carl's Jr in Las Vegas. "People are hurting. People like me. Families like mine -- struggling to survive on minimum wage." Puzder's confirmation hearing has yet to be scheduled. But Democrats used Tuesday to fire an opening salvo against the nomination, which they characterized as attack on American workers and an endorsement of bad labor practices. "Mr. Puzder is not the kind of American person that workers can trust to stand up for them," Warren said. The Labor Department has traditionally been the enforcer of labor laws and protector of workers. 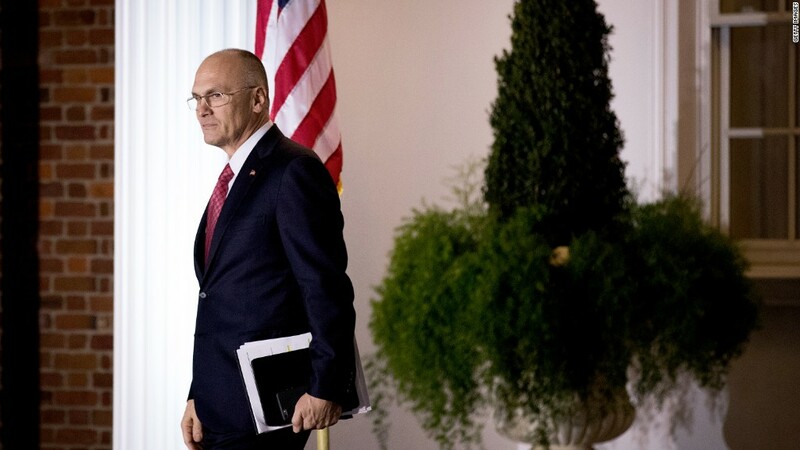 Since his nomination, Puzder has faced criticism from Democrats that he is too pro-employer and anti-worker. Warren also unveiled new findings by a pro-worker organization called Restaurant Opportunities Centers United, which surveyed more than 500 employees of CKE Restaurants about sexual harassment from customers, being forced to work off the clock, not receiving required breaks and not getting overtime pay. The unscientific survey reported that 66% of women said they experienced unwanted sexual behavior at work, while 28% of respondents worked off-the-clock and 79% of workers said they prepared or served food while sick. "This is a portrait of grinding workers into the ground and extracting every last dollar," said Senator Jeff Merkley, a Democrat, at the forum. A CKE spokesperson told CNNMoney that the company "strongly objects" to what it called "deceitful survey tactics." "We have numerous reports from our franchisees citing that ROC representatives falsely identified themselves while conducting the survey and the questions asked were extremely leading," read a statement from the company. A Trump transition aide told CNNMoney that it was "not surprising" that senators who have received financial contributions from unions and special interests opposed to Puzder "are now returning the favor with this smear campaign." The aide said Puzder "has firsthand experience saving and creating thousands of jobs, and he has an extensive record of fighting for workers." He has been CEO of CKE Restaurants since 2000, and is credited with turning around the Hardee's brand. Puzder's company has also been accused of labor violations, and it has fielded complaints about sexist commercials. --CNN's Tal Kopan and CNNMoney's Julia Horowitz contributed to this story.